A significant component of our community outreach efforts is our community pet food and supplies distribution in collaboration with area food banks. Our van, chock full of donated dry and canned pet food and additional items like flea/tick preventative, leashes and collars and even some toys, heads out to our partner agencies. 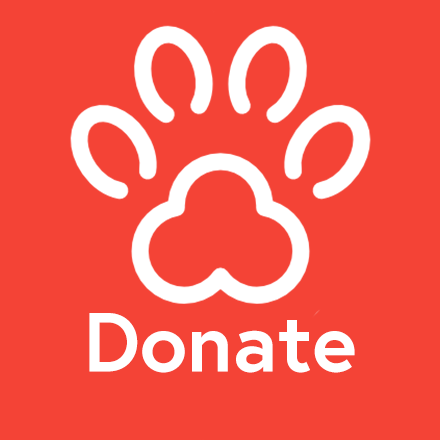 St. Hubert’s collects and organizes food and supplies in an ongoing effort to give pet parents who may be struggling financially a hand in providing the basics for their animal family members. We distribute the goods at each partner location on a regular basis and stand ready to fulfill emergency needs between visits. As of September 2017, we have distributed more than 24,000 lbs. of dry food and over 10,000 lbs. in wet food for dogs and cats which equates to over 41,000 meals! Nearly 7,000 lbs. of cat litter were given out as well. Our goal is to ensure that families won’t be forced to consider surrendering beloved family members simply because hard times make it difficult to provide them the basics. Working with established food banks is the perfect way to get the word out that assistance is available for their clients who have pets. We’ve not made any special requirements for participation—we simply want those who need a hand to let us know what kind of pets they have and we’ll stock them up. On our first food bank outreach in September 2014, we were able to provide more than 1,000 pounds of dog and cat food which was able to take care of 57 pets until the next visit. We also handed out canned food, flea/tick preventative, dog biscuits and miscellaneous supplies. We met seniors, couples, singles and families—all of whom are devoted to their pets and enthusiastically expressed their appreciation—many shared hugs with us! We heard all about their pets and saw pictures of many. We were humbled to hear from one lady how excited she was to be able to go home and spoil her dog with good kibble, some canned food to add in and biscuits for a snack--she’s been feeding him hot dogs because her budget just can’t be stretched to include buying dog food right now. Our hearts were warmed when more than one person told us how much their kitties were going to enjoy being treated to canned food which they rarely are able to have. We “met” 57 pets who are in responsible, loving homes and need to stay there where they belong—we’re committed to giving their families a hand up when they need it to make sure they’ll be able to keep them well fed. In addition to Salvation Army Dover Corps St. Hubert’s is partnering with Morristown Community Soup Kitchen, Interfaith Food Pantry and Somerset Food Bank Network. The partnership between St. Hubert's and area food banks provides a much-needed support system to struggling pet parents, and we need help to continue our monthly distributions. Please note that at the request of the partnering food banks pet food and supplies should NOT be taken to their locations. St. Hubert’s will be the collection and organization site for donations to the program. Please click here and see the Food Bank section of our wish list if you can help us with the specific items we need to stock the community pantry. Our Food Bank program is sponsored for 2017 by M & T Bank.